It does exactly what it says on the tin. It shows the player where specific monsters are able to spawn. 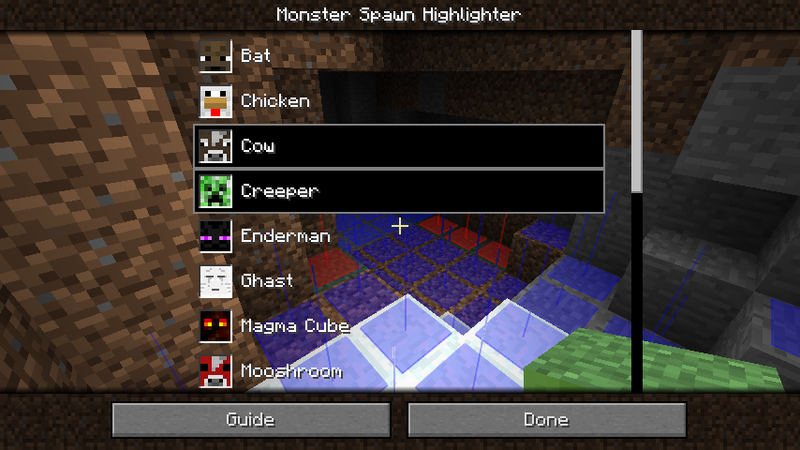 You may select which monsters you want to check directly in Minecraft, default hotkey for the configuration screen is L. Additionally you may want to tweak a few other setting, which can be found inside the config/MonsterSpawnHighlighter.cfg file.